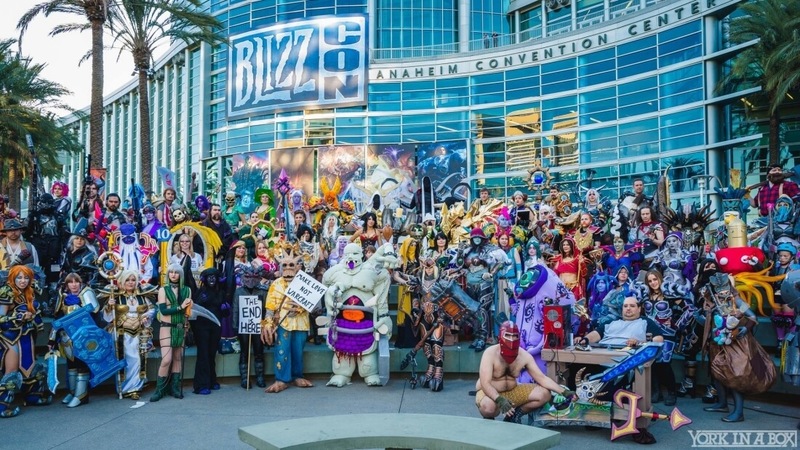 Blizzard has revealed that its (mostly) annual BlizzCon video game convention and “community celebration” will again be held at the Anaheim Convention Center in Anaheim, California. The 10th BlizzCon will give fans the opportunity to play the company’s latest games, witness the global finals for Blizzard eSports (StarCraft II, Hearthstone, Heroes of the Storm and World of Warcraft) and attend in-depth discussion panels with developers and artists. What’s more, those in attendance can take part in various contests and score commemorative merchandise. Tickets to the two-day event, which takes place on November 4-5, will be priced at $199 (plus any applicable taxes and fees). In partnership with online ticketing service Universe, Blizzard plans to offer tickets in two separate batches. The first batch will go on sale at 7 pm PDT on April 20 followed by the second batch on April 23 at 10 am PDT. Blizzard is also hosting a pre-BlizzCon dinner that’ll benefit Children’s Hospital of Orange County on the evening of November 3. Those who spring for this exclusive event will get to “geek out” and mingle with Blizzard artists, developers and community representatives. Tickets for this event will command $750 each when they go on sale April 27 at 7 pm PDT. Those that can’t make it out to BlizzCon can experience the convention right from home by purchasing a “virtual” ticket. Blizzard said virtual ticket pricing and availability will be revealed at a later date. If you’re planning to attend BlizzCon, you’d be wise to go ahead and book hotel reservations in advance (or stay with a friend locally… or try Airbnb). If you go the hotel route, you can score a discount by booking through the official BlizzCon hotel portal.